Where’s Bon Jovi when we’re excited to be half way there? But these Blackhawks seem to be livin’ on more than just a prayer. The Hawks played their 42nd game on Sunday night, beating the Anaheim Ducks 5-2, a game that really did a nice job of putting the season to date into perspective. Exceptional play between the pipes, awesome defense, and a powerful offense that was more than the opponent could handle. The Hawks were too fast on their skates, too quick with the puck, smarter than a good goaltender, and more physical than the other team. Also consider that in the last decade the largest number of 20-goal scorers the Hawks have had in a season is five; six Blackhawks already have more than 10 goals, and Marian Hossa has eight after missing almost two full months. This year’s Hawks team might be one of, if not the most balanced scoring team in the NHL, and could have as many as seven players score over 20 goals. Duncan Keith’s career high is 44 points, set last year. He already has 36 (6 G, 30 A). Troy Brouwer’s previous career high in goals was 10, set last year as well. He has 11 already this year. 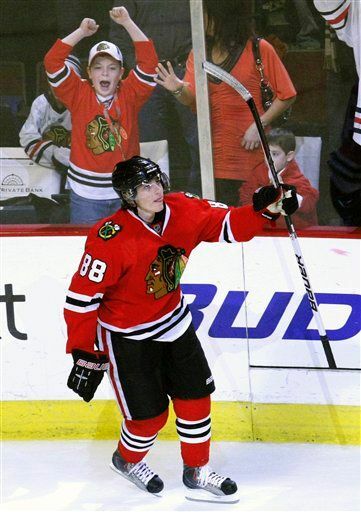 Patrick Kane set his career high with 25 goals last year. He has 17 already, and, at the pace he’s playing, he might set a personal high by Feb. 1. How special is Kane playing this year? 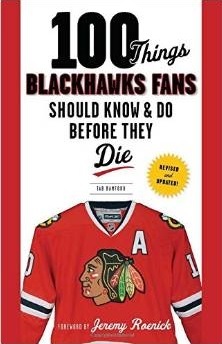 Since 1990-91, only three Blackhawks have topped 80 points in a season – Steve Larmer had 101 in 1990-92, Jeremy Roenick had 107 in both 1992-93 and 1993-94 and Tony Amonte had 84 in 1999-2000 – and Kane is playing at a level that he could challenge the 100-point barrier this year. 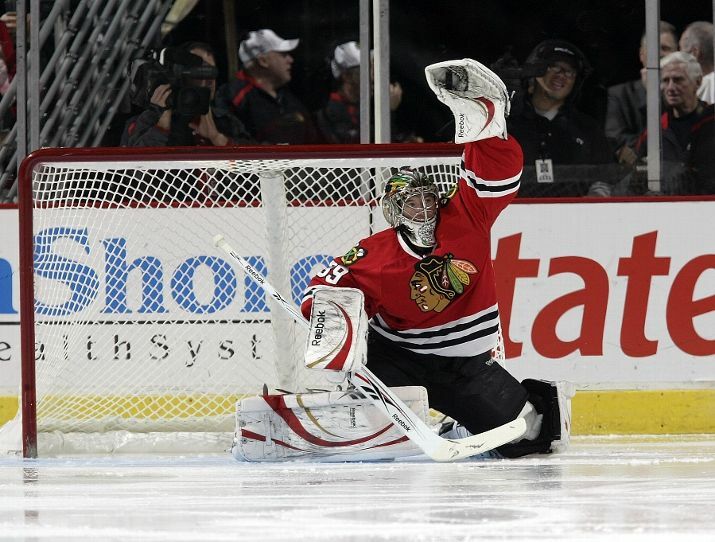 The fewest goals the Blackhawks have ever allowed in an 82-game season was in 1997-98, when they allowed 192. So far this year, the Hawks have only allowed 87 in 42 games a pace for 170. Many Blackhawks fans, no matter their length of time on the bandwagon, feel like this season is starting to look like something special. The Stanley Cup hasn’t been in Chicago since 1961, and the Blackhawks have only won the Presidents’ Trophy once (1990-91). Sometimes the gut feeling of fans isn’t realistic with how the team is performing, but everything about this season on paper supports the belief from the fans that the Blackhawks are on the cusp of something incredible. Last year, in the team’s first playoff appearance in almost a decade with the youngest team in the league, they advanced to the Western Conference Finals. That experience, coupled with the additions of seasoned veterans Hossa, Tomas Kopecky and John Madden, there is every reason to believe that these Blackhawks could be the real deal.